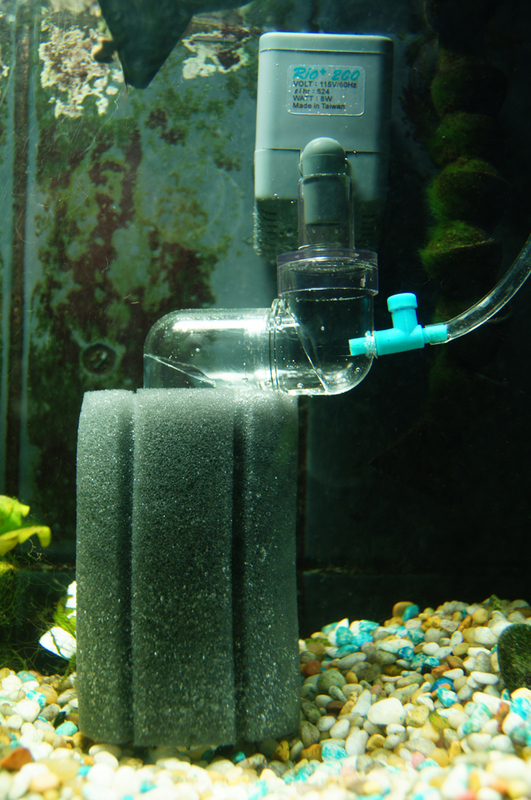 Another use for a Sponge Filter, whether a standard Sponge Filters or a Sponge Pre-Filter (such as the Filter Max #2 pictured here) is as a diffuser/reactor for CO2 systems. This DIY CO2 Reactor/diffuser works better than just about any other according to my friends in the industry who are expert planted aquarium maintenance pros. 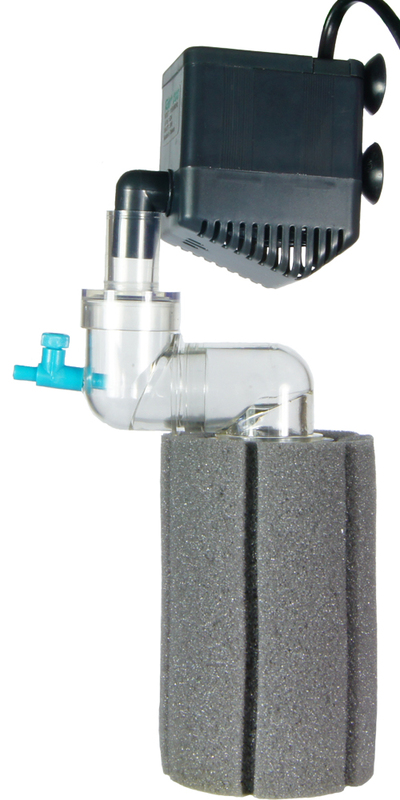 It is similar to the gravel vacuum with a sponge plug method popularized in a planted aquarium forum in that this method utilizes a top-notch sponge filter material for better CO2 absorption then slow dispersion. As well the Filter Max Sponge Filters have a secure cap that does not blow off under pressure from the water pump, unlike the other method. (1) As per the picture to the left, connect a relatively slow pump such as the Rio 200 Pump (138gph) to what would normally be the pump pick up, but in this case, the flow is directed downward so as to trap the CO2. (2) Then drill a small hole so as to add an air line control valve (such as found in the Lees Valve Set #14104)which then goes to the source of the CO2. From this valve run airline tubing to your CO2 source. 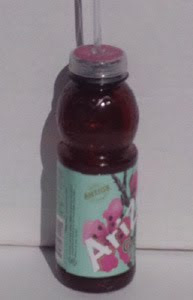 Use the valve to regulate CO2, but the water pump at least in part keeps the CO2 contained until it is absorbed through the sponge material. (3) Add an in-line air check valve as close to valve as possible to prevent water back up into the airline tubing once the CO2 is exhausted. I often find that it is best to still "blow out" the airline (by mouth) prior to adding to fresh CO2 each day. 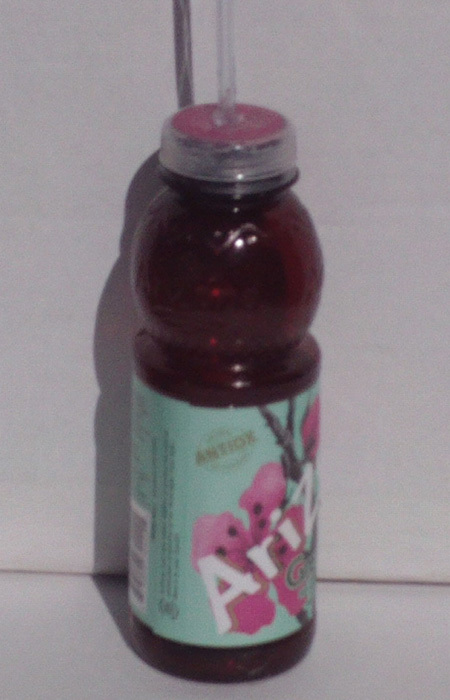 The use of a homemade pressurized bottle can be used for Jungle Fizz Tabs or DIY yeast CO2 generators. *Another tip to secure filter intakes, tubing, etc. are the ZooMed Mag Clips. Although their primary use has been for aquarium heaters, I have adapted these for lift tubes, air line and much more.